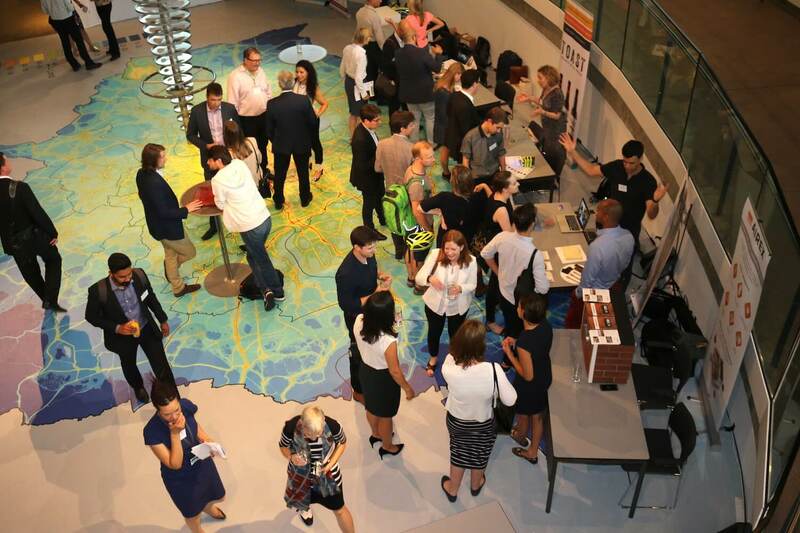 Finding the best routes to help small London cleantech businesses deliver and thrive. Brief notes and observations from the Better Futures launch meeting, involving some of the great, the good, and the go-getters! It took place on the (somewhat sweaty and gloomy) evening of 2017/07/19. The Better Futures programme is intended to "help kick start the development of a clean-tech cluster for London, developing a hub for low-carbon industries in the capital" according to the London Mayor's office. The programme "will go towards supporting the SMEs, which will come in many forms including management and leadership support, marketing, access to co-working space and public and private funding support" according to Sustainable Bridges as lead delivery partner. 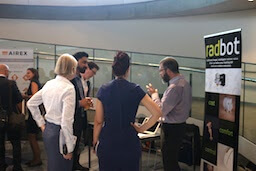 There was a good mix of people and organisations meeting at City Hall. SMEs such as OpenTRV, large business, government, academics and existing support organisations for SMEs such as Imperial and Climate-KIC. Firstly exhibiting with stands down in the basement. Then chewing the fat up on the top floor in "London's Livingroom". Turnout was around 70 people. The keynote was from London's deputy mayor for business, Rajesh Agrawal. He and others kicked out impressive numbers. Cleantech isn't just nice cuddly feel-good to save the planet. It is also serious business. Various luminaries give nominally 'provocative' circa five-minute talks. One such was BEIS' head honcho for the EEF (Energy Entrepreneurs Fund) and similar programmes: Cath Bremner, Head of Science Energy and Climate Change. 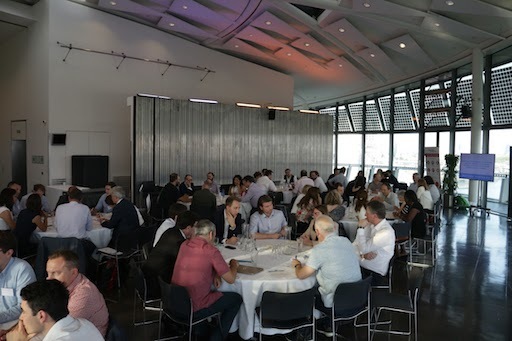 There were then round-table discussions on what could make the cleantech business climate better. Such as tweaks to BEIS (thus also Innovate UK) programmes. Also encouraging the formation of local cleantech 'clusters'. At the very least these could host and induce the fabled creative 'watercooler' chats! I suggested that such meeting places with peers are useful to help understand what does and doesn't work. Also to be reminded that doing this stuff isn't weird. Oh, and that ideally no one should be more than about an hour away from their nearest one by public transport! Even during the meeting/networking itself I was reminded why comparing notes with people interested in the same issues can be very fruitful. I hope for one or two specific positive outcomes for OpenTRV. Images courtesy of Woon Tan: thank you! Footnote: I rather wish that City Hall did not impose more onerous security than for example Eurostar. Forcing me to risk my trousers round my knees in reception, again. And preventing at least a couple of the SMEs from bringing in their products to show off properly. Better Futures: Sustainable Bridges Help Mayor Sadiq Khan Launch 1.6m Clean Tech Incubator. First published 2017-07-20 , updated 2019-04-22 . Site copyright © 2007-2019 Damon Hart-Davis. Hosted by ExNet.